So now, as a parent myself I am very sceptical of anyone who works in a shoe shop and offers to check my child’s shoes fit. Of course, that’s a luxury we parents here in Singapore don’t often have anyway – trying to find a decent pair of school shoes here is harder than finding a house without gecko’s. Last week I had the very good fortune to hear about a brand new company that has been set up right here in Singapore. Not only that they invited me to go and have a look. Ten Feet Tall is the brainchild of Nicola and Sam, two professional women who met after they both moved to Singapore. They had both reached a point in their careers where they wanted a change and thought they’d like to work together. However, it wasn’t until Sam’s eldest daughter was heading to school that they got their lightbulb moment. The pair approached a couple of schools with an idea of supplying good quality, well fitted shoes and the response was immediately positive. In fact, it was so positive they started looking for suppliers straight away. That was just six months ago and they have been working hard ever since to get their company up and running. What, for me, made this something I was interested in was the fitting service Ten Feet Tall offers. There is no ‘winging it’ here. Both Nicola and Sam and their 10 staff have all been trained – properly – by an Aussie guy (Tim Jackson) who has 55 years experience in fitting shoes, having previously worked for the likes of Startrite. To prove it Sam and Nicola had invited me to bring along my daughter to have her feet measured. Obviously being the, ahem, ‘expert’ that I am I was paying close attention. Not only did she measure the length and width of Lou’s feet she also explained how to really tell if the shoe fits well, how some shoes fit better than others depending on the arch of the foot, how high they come up at the back and so on. She also explained that often, the actual measurement is just a starting point and the actual size you leave with can be different. Honestly, I learnt a lot more in half an hour than I did in three years working in that shoe shop back in Basildon! The range of shoes they have is great too. From classic brogue to funky converse styles. All classic black. All built to last and all made from the highest quality leather. 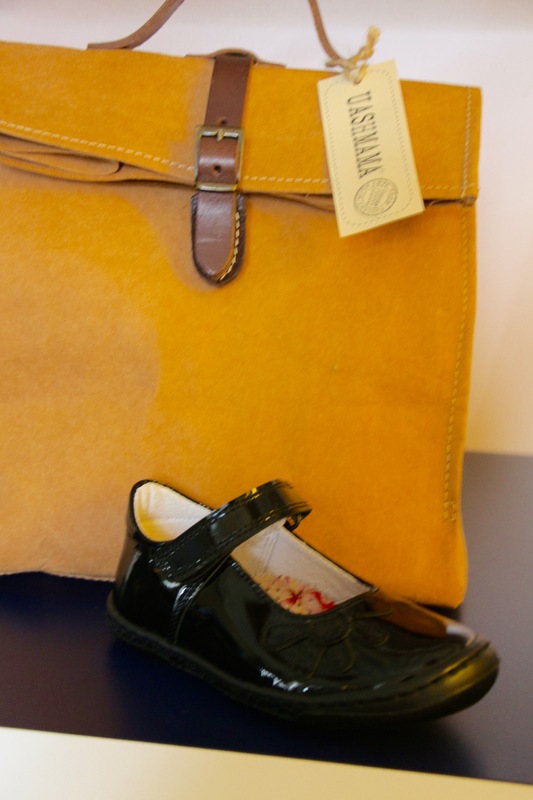 They have sourced the shoes from three major brands – Startrite, Petasil and Ricosta. 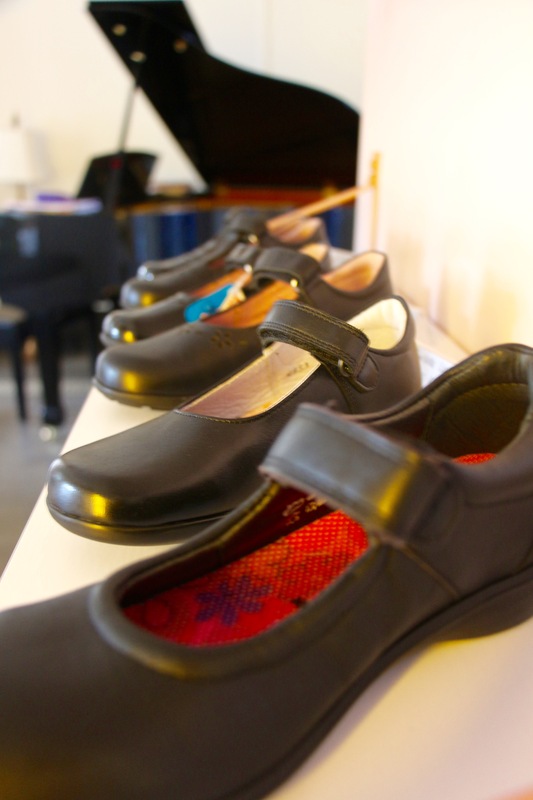 To get the ball rolling the ladies have taken their shoes to a number of schools, launching first at Dulwich school. However, these were all pop ups. Their permanent ‘store’ opens tomorrow – 4th July – in Holland Village. 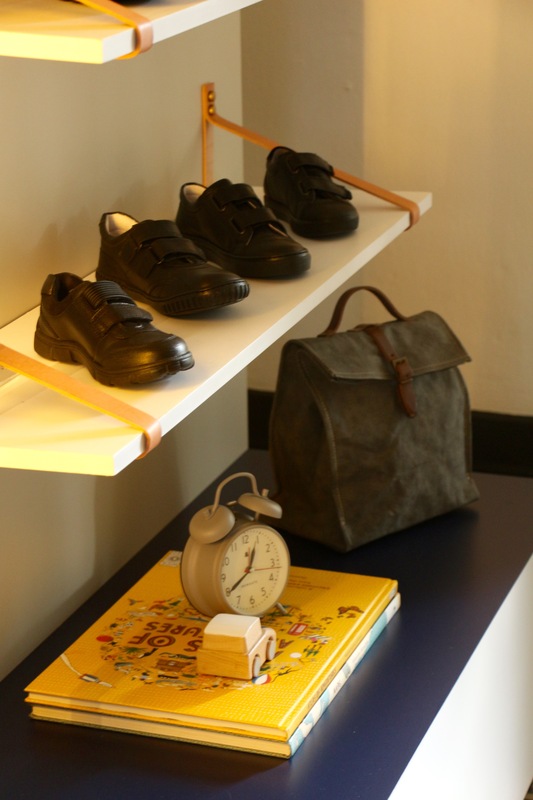 I loved the fact that they recognise that finding the right shoes isn’t just about just finding which pair is the right size – it’s also about what your child does in the shoes. Be that tap dance as my daughter does constantly or ride bikes. And the icing on the cake? This lovely pair of entrepreneurs are also all about giving back and have installed a shoe bank in the schools they visit and in their store. 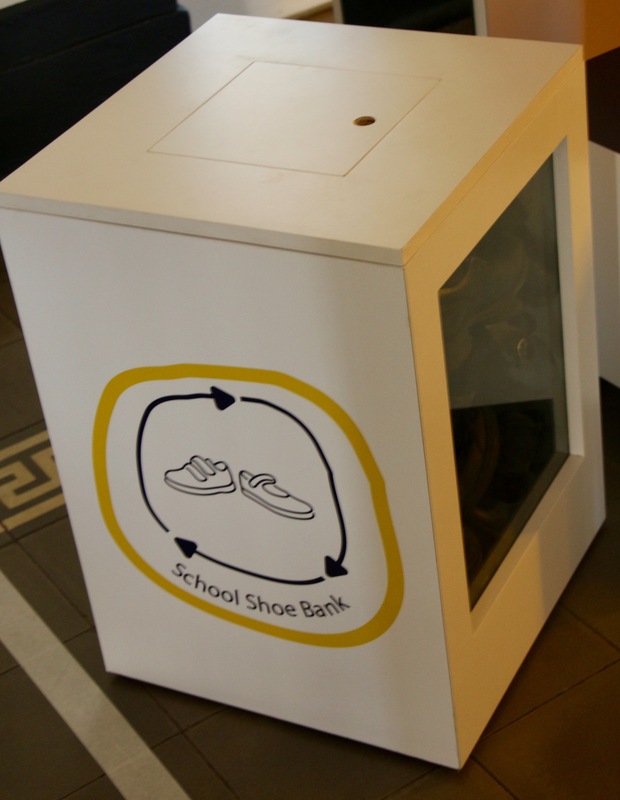 You can donate your child’s old school shoes – which, let’s face it, have often simply been grown out of rather than worn out – and they will polish them up and pack them off to needy children in Asia. Great initiative! So, with summer holidays already upon us you can go home and not have to spend valuable holiday time shopping for shoes. Save it for when you’re back and go along and support a lovely pair of ladies who have not only solved a real problem here in Singapore. But solved it in style. Good luck Ten Feet Tall. For more information go to their website at www.tenfeettallshoes.com.